FOX6 Sideline held its annual FOX6 Sideline Allstar Banquet to recognize their chosen best offensive and defensive players in each class. 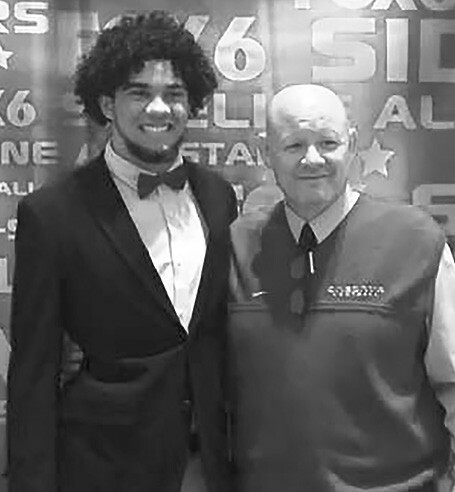 This season, Oneonta Redskin Jaden Warren was named 4A Offensive Player of the Year. Warren finished his senior season with 54 receptions for 709 yards and 11 receiving touchdowns. He also contributed in the return game and accumulated 963 all-purpose yards. Warren displayed intangible qualities that did not show up in the stats. He always seemed to make a play when the team needed it the most. Warren will attend Troy University after graduation where he will play football for the Trojans.